This was a Christmas present from one of my daughters. It was first published in 1933 and has been republished by Frontline Books. It was intended by the author as an unvarnished account of his short tour on the Somme in the winter of 1916. The book was recommended by non-other than Rose Coombs whose own book Before Endeavours Fade is an essential guide book to the memorials of the Western Front. ?....propaganda must be based on truth if it is to succeed over the long period, and to represent the war as one long nightmare is to exaggerate one aspect at the expense of the other. The book is set in November 1916, when there were no major offensives by either side. 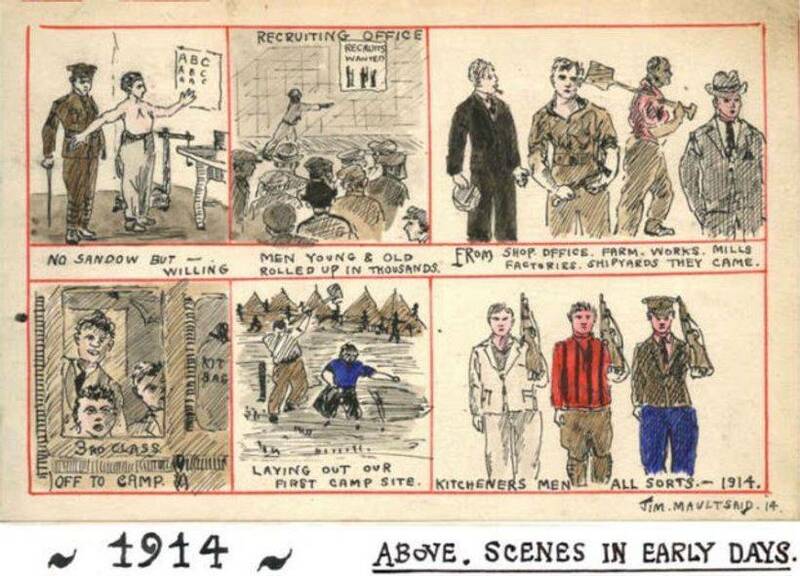 It deals with the drudgery of a war of attrition, and the reality of day-to-day army life on the Western Front, e.g. waiting for 4 hours in the rain for a train to arrive. In the book, he describes his fellow officers and the men he knew in the battalion, how they dealt with their situation and got on with one another. ?the popular definition of culturally legitimate war experience had narrowed to that of the soldier in the trenches: young junior officers or possibly men in the ranks, preferably serving in France or Belgium, and almost certainly disillusioned.? One of the wars greatest tragedies was that the High Command so seldom saw for themselves the state of the battle zone. What could the men at GHQ who ordered the terrible attacks on the Somme know of the mud from their maps? If they had known, they could never have brought themselves to believe that human flesh and blood could so nearly achieve the impossible, and often succeed in carrying out orders which should never have been issued. ?And life in the trenches was not all ghastliness. It was a compound of many things: fright and boredom, humour, comradeship, tragedy, weariness, courage and despair. Those who were lucky lived, and every six or nine months saw most of their friends die. Soon the places were filled and the daily round went on.? It is very readable book and I would certainly recommend it. Edited by Nicholas Perry, Army Records Society. I won this book in the raffle at a Dublin branch meeting, thanks to the donation of some books by the speaker Tim Bowman. It was probably just as well as the cover price is £50! The book consists primarily of the letters written by Nugent, mostly to his wife Kitty, and he seems to have written almost daily. They seem to have been a most devoted couple. The Nugent family are Anglo-Irish and at the time of publication of the book (2007) Oliver Nugents grandson was still living at the family estate at Farren Connell in County Cavan. The editor also interviewed one of Nugents daughters who was in her 90s. It is not common for these Anglo-Irish families still to live on their estates in the Irish Republic, as many left voluntarily, or were forced out, in the 1920s and 1930s. Most of the papers in the book come from the Nugent family papers which stretch back to the 15th century. These are now held in the Public Record Office of Northern Ireland, and are known as the Farren Connell collection. The book also uses papers from other sources including the Royal Archives and the Imperial War Museum. Nugent was a career soldier like his father. He joined the Royal Munster Fusiliers but transferred to the KRRC (King?s Royal Rifle Corps) as being a more posh regiment. He served in the first Boer War, and was wounded and held prisoner until the capture of Pretoria in 1900. On the outbreak of WWI, he was a colonel but had gone on half pay to return to Ireland amongst the Home Rule crisis. He had a role in organising the County Cavan UVF, though was later uneasy about his involvement, and certainly had a subsequent problematic relationship with the leadership of the Ulster Unionists, but he was distrustful of all politicians. He took command of an infantry brigade in May 1915, the 41st, in the New Army in the 14th Divn. After being at Hooge later in the summer, he took over the 36th Ulster Divn in September 1915 on promotion to Maj Gen. He stayed with them until the general clearout of older divisional and corps commanders in early 1918 when he was posted to India. He commanded the 36th Ulster Divn at the Somme, and on the 1st July after the first wave had gone in and been cut to pieces, he asked for permission to withhold the second wave, as it was pointless. He was told to commit them, which he did, and then 45 minutes later came the order to withhold the second wave. This, and his similar experience in 1915 at Hooge, helped to form his negative opinion of his Corps commanders on those occasions. Nugent comes across as a competent commander who was old school, keen on discipline but always concerned about his men and his colleagues. He clearly could be exasperated by the political connections of his division, and by the many Corps and more senior commanders whom he regarded as being of limited ability. He was delighted when Asquith was replaced by Lloyd George, when Gough was sacked, and was a fan of Wilson and Plumer (which seems to have been mutual in both cases). He did suffer from an uncertain temper, especially early in the day which is put down to his wounds suffered in the Boer War. The antipathy of both Haig and to a lesser extent the Ulster Unionist politicians are thought to have blocked his promotion to Corps commander. Indeed, it seems pretty clear from the correspondence from several of his general colleagues that Haig persistently blocked Nugents knighthood, which was not awarded until after Haig had retired from the army. How is that for pettiness? The papers are full of what the cavalry has done. It is a fact that the cavalry have done absolutely nothing except block the roads and follow the infantry. It makes us all so furious to read the frantic efforts made to boost the cavalry, which is as much out of date in this war as a naked man with a stone axe?. Nugent died in 1926 of pneumonia after he had retired from the Army. He is buried in County Cavan. A memorial service was held in Belfast as which hundreds of his men attended but none of the Ulster political establishment did (how is that for yet more pettiness), except for Wilfred Spender who had been his GSO2 for two years in 1915-1916. I think that says it all he was always loyal to his men and them to him. After reading the book, it would be difficult not to empathise with Nugent and his views. Mind you, he did name one of his daughters Theffania, yes, really! Perhaps the acid test in any book review is would you buy this book? Well, the answer is yes, because I did in fact buy this book a year ago and have faithfully held on to that copy. The initial impression is of the charismatic dust jacket with the painting by the war artist Matania of the desperate artillery action at Nery on 1st September, and the action photo of the BEF being shelled on the retreat. It is a rare real action photo from WWI. (See below). The book, as the title implies, covers the retreat from Mons. It therefore covers much the same topic as Robin Neillands book 'The Old Contemptibles' The British Expeditionary Force 1914 published some years ago. I regard them both as being good reference points for the whole topic. Jerry Murlands style of the writing is lucid and logical, and the book is thus very readable. The author has been a teacher and educational consultant, and I have to say that this level of expertise in communication with an audience shines through. I wish all books on WWI were written to this standard. You might think this is not important, but I can assure that it is, as it turns reading a book from a drudge which you suffer because of the information you may glean into a can't put it downdelight. Mons itself is, of course, an engagement that is shrouded in what might be called mystique, contemporaneous propaganda or twaddle, if you are being unkind. This book serves to cast more light on the events of August and September, in so far as they can be discerned a hundred years or so later, including by looking at original material such as letters, diaries and personal accounts. These help to personalise the narrative and bring it down to the human level. An extract from the diary of James Pennycuick at Mons refers to a conversation with Maj Gen Sir Charles Ferguson on 22nd August where Ferguson says they may be in Mons for a week or two, the entry refers to a very short fortnight. Well, indeed. The Battle of Mons, of course, started at 6 am on 23rd. In elucidating matters generally, the book refers to German casualty figures which do seem more plausible at Mons and Le Cateau than previous British accounts. There are similar personalised accounts of the actions on the retreat Le Cateau, Le Grand Fayt, Etreux, Audregnies, St Quentin and Nery. Le Cateau is covered in a number of books, including by the late Richard Holmes. An important feature of the Murland book is the use of sketch maps, especially in the case of the various skirmishes and rear-guard actions following Mons and Le Cateau. These help to explain those encounters for the reader so that he or she can understand better the geography of the location, the deployment of the various units, and what happened. As I said, the author has a track record as a teacher. One aspect that appealed especially was the extracts from the dairy of Edward Spears who was a lieutenant and a British liaison officer with the French in General Lanrezacs headquarters and which make wonderful fly on the wall reading, especially on the strained relations between Generals Lanrezac and Sir John French. Lanrezac did not like the British, and in turn Sir John was held back by his limited knowledge of the French language, yes, French could not understand French! Lanrezac was replaced on 3rd September by Franchet d'Esperey. Sir John was given something of a 'talking to' by Kitchener on 1st September to get him back on message? and to stop asking for the BEF to be withdrawn to be re-equipped and reorganised. Things improved after that. There are chapters on those soldiers who were cut off from their units in the chaos of the retreat, the engineers who were 'blowing bridges in their sleep', and on the fate of some of those soldiers who were mentioned earlier in the book, either in their own reminiscences or those of others. Thankfully, a number did survive the war. 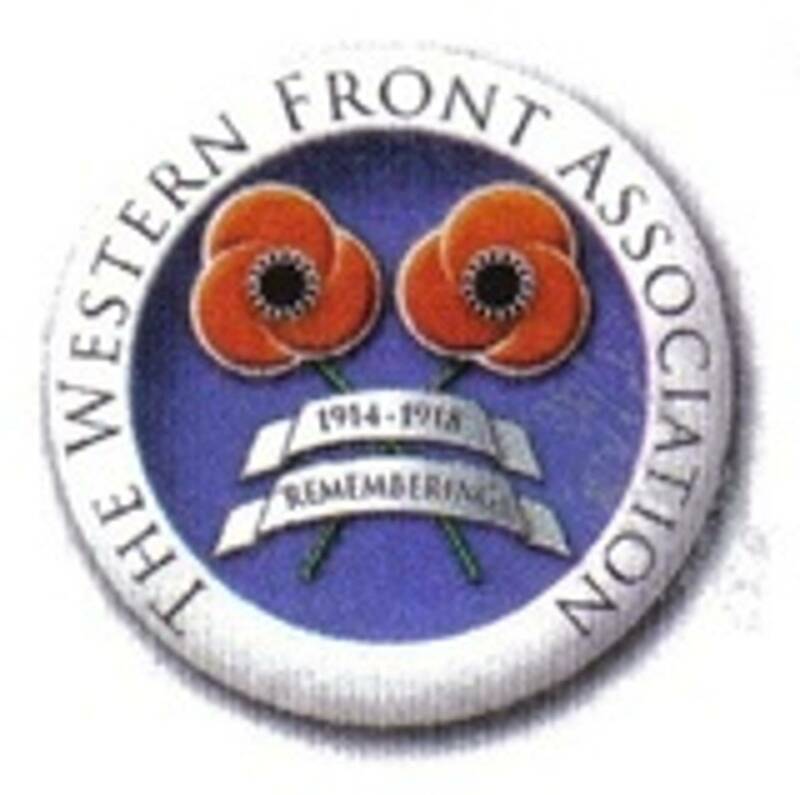 All the above reviews are by Trevor Adams, North Wales WFA. By David F. Beer. Editor Barbara McClune. Published by Pen & Sword Military, 2015. The author had an interesting early life. He was raised in Donegal, Ireland, but was born in the U.S. to Irish parents who decided to return home. Thus he was an American citizen who later joined the British Army in Belfast. 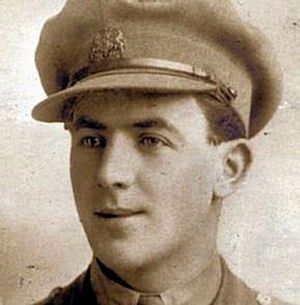 When he left school at age 13 he was already somewhat talented in writing and drawing and worked in the Belfast shipyards before volunteering for the Royal Irish Rifles on 14 September 1914. He was badly wounded on the first day of the Somme, and, although then unfit for active service, he was commissioned in 1917 to work with the Chinese Labour Corps. His experiences with them are recorded in a second volume, War! Hellish War! (also published by Pen & Sword). In spite of the fighting, there was often time for a sports day and the competition between teams was fierce, the officers often joining in. Infantry attacks coordinated with "the Skins" (The Royal Inniskilling Fusiliers) were frequent, and "a finer lot of fellows than our friends the Skins you could never meet" (125). Maultsaid lists his impressions of all the nationalities he meets during the fighting and has this to say about "the Yanks"
"Some great lads here! Most of them came from English, Irish and Scottish stock, mostly Irish. Put in some real good work, but did not win the war. I think more of them could have been used, some in fact after months 'out there' never got firing a shot even, much to their disgust" (p. 79). As he put his diary and sketches in order later to be published by his granddaughter Barbara Anne McClune, Jim Maultsaid often found himself looking back at the war with mixed feelings. He remembers the happy times as well as the heartbreaking ones. Sometimes he begins a sentence by appealing to our memories, as though the reader had been there too "Do you remember how we looked for the postman" or "Yet with it all, can't you remember the share-and-share alike spirit?" "Can't you still hear"
Jim Maultsaid After He Was Wounded.